Everyone wants their content going viral. But is your business ready for it? There’s no point in being seen by a million people if they have no easy way to get in touch with you again. In a world that’s increasingly online, with shrinking high streets and fewer landlines, where can someone get in touch with your business? Chances are, people get in touch with you online. Facebook, Twitter, LinkedIn, and Instagram are casual, easy ways to connect. Sending a tweet or messaging a Facebook page is much easier than sending an email or picking up the phone. Even a contact form on a website can’t compete. And where are people sharing your content or talking about your business when you do go viral? Going Viral? Prepare for Press. There’s no reason why going viral has to be limited to ‘fifteen minutes of fame’. With a proactive approach, businesses can use digital marketing to create a foundation for press coverage. To get the best results from your PR team, you’ll want to involve social media marketing from day one. Press and social are two separate aspects of your marketing that work best together. You can even use social media to build a better media network for your business. So how can press and social media work together? A few simple ways include using social to share prominent features, add additional commentary, and reply to the comments on the article. If you’re ‘around’, people are able to tag you when they talk about you. And when you use social to connect to the press, you can often get a ‘heads up’ about incoming pieces. You might even get more opportunities to be mentioned in the first place. Twitter has a famously large media presence. Famous brands, as well as individual journalists, frequently use the platform to find information, quotes, and useful bits (like good tweets to embed) for their articles. LinkedIn is another way to connect to professionals. However, you could start this relationship on a more open platform like Twitter. Just to make sure you’re a good fit. Going viral with a blog post can be a dream. It only takes the right combination of strategy, quality, networking, and luck. Then businesses can reap the benefits of a viral post or page on their own website. All of that traffic is now yours. And that means it’s yours to lose. Viral content is often viral for its entertainment value. It’s either informative, shocking, or emotionally moving. Ultimately, it catches the attention enough to make someone say, “I want to share this.” (Hopefully, you haven’t gone viral for the wrong reasons… Like with #susanalbumparty.) 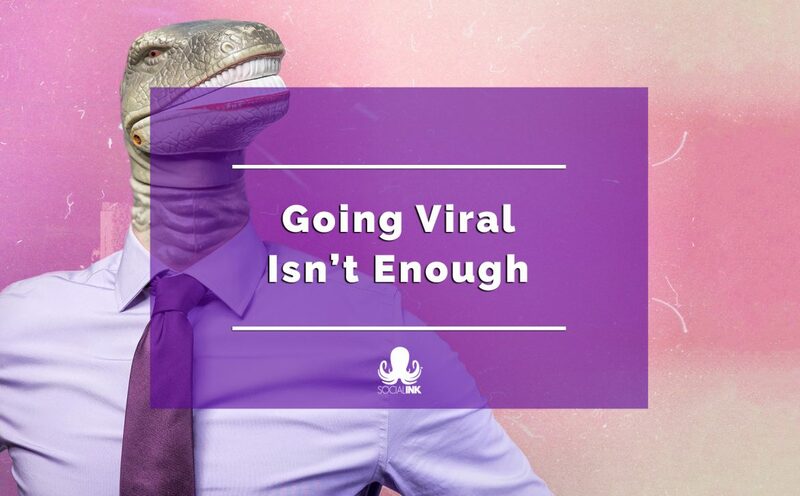 You want to go viral because your content has made a connection. So you can imagine the lost opportunity when an eager new fan tries to find you on social media and all they can find is an outdated “Happy Christmas!” graphic from three years ago. If you publish content or share your ideas somewhere online, even if those ideas are products listed on your website, then there’s absolutely no reason why you can’t prepare at least the bare minimum of social media content to support your brand’s presence. Ultimately, social media is a part of the bigger digital marketing puzzle. It won’t guarantee success on its own. But by combining press, social media, advertising, and long-format content you’re using every piece to amplify the others. In today’s hectic digital world, we all need to generate as much noise as we can. Create social media profiles for your brand across ALL popular platforms. You don’t want someone to grab your username and impersonate you. After creating a strategy (even a basic one), stay active on your chosen platforms.  Add your social media links clearly to your website, business materials, and other customer-facing assets. You want your biggest fans to be there first. Audit your profiles and profile security across your team. This is for your business as well as for your employees. Prepare yourself for an epiphany. At its most basic, what social media marketing involves is the act of marketing through social media. There you go. We’ve given the game away in the second sentence. No need to read on. Or is there? Everyone and their grandma uses Facebook. So, how hard can it be to use it as a business? Firstly, familiarity as a user shouldn’t be confused for expertise as a marketer. Put it this way. You wouldn’t go to a restaurant and assume you could cook all the dishes just because you’d tasted them all. With this in mind, there are a few key differences between social media for businesses and social media for fun. 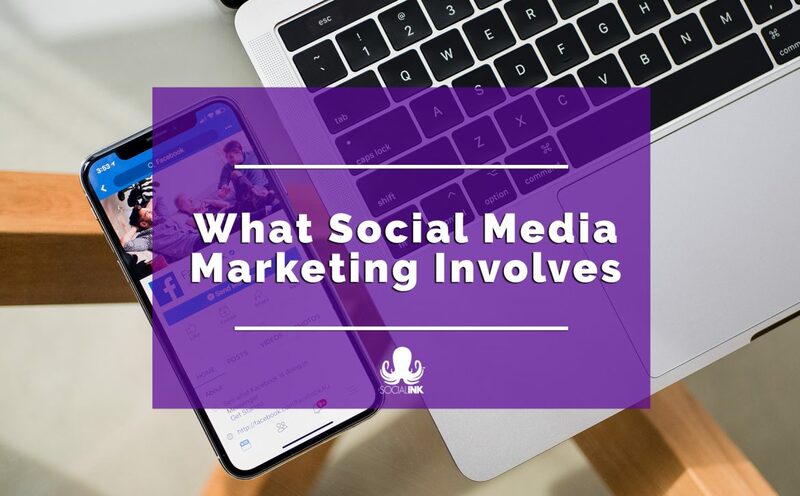 Here’s a quick look at exactly what social media marketing involves. And the steps businesses need to take for it to work. To begin with, the purpose of your social media strategy needs to be clear. Specific, measurable goals are necessary to determine success. And, more importantly, to find out what needs to change. Like any business or marketing plan, a social media marketing plan is a fluid, malleable strategy. It will evolve over time. However, it can be a bit of a Catch-22 at first. You don’t know what to set as a goal, because you haven’t started using social media. Yet, you might not want to start using it before you have a clear goal in mind. So, what do you do? We’ve said it before. A bad plan is better than no plan. If you set the bar too low or too high, it’ll become obvious once you get started. When starting out on social media, your first goal could be to encourage and enable full buy-in from your team. If the people in your business aren’t following, liking, and sharing your content, how can you expect other people to? 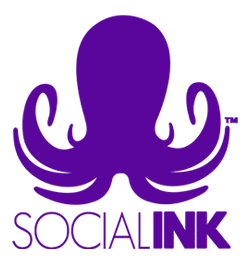 Consequently, the main purpose of the plan is to make sure your social media marketing efforts are in line with your overall business development plan and marketing strategy. Social media should be used to amplify your other business efforts. For example, you should share press releases, mentions in the media, new products, and positive reviews. Most importantly, any content, such as articles you produce, should end up across your social media channels. Social media is much more than just creating profiles. A presence comes from being active on your chosen social media platforms. Again, if you aren’t sharing your own news, views, and content on social media, can you expect others to? Inactive profiles are active in only one way: they actively discourage people from engaging with your brand. Point is, you want to create a positive presence that supports your business. You don’t want to just build a place for people to send their complaints. Social media isn’t a live support desk. So, don’t treat it like one. Otherwise, your audience will. By the same token, presence only matters if the content is received by the right people, at the right time. That’s why context is key. One of the most powerful aspects of social media marketing is the ability to create context around a business and its content. People no longer have to rely on the context of others, for instance, TV advertisements during prime time shows, or magazine mentions next to the right article. Significantly, with social media marketing, they are able to create context through their own content. As well as through articles and videos, context can be created on social media through targeted advertising, hashtags, and even influencer marketing. Read more about what social media marketing involves and how social media can create context. A business won’t get far without an audience. The exact definition of ‘community’ will change depending on the goals of the business. Customers, audience, network, partners. However you put it, a business needs other people in order to thrive. Especially B2B companies. We are all still human and reputation counts. Your presence is essential because it’s what will kickstart your community. Your community will grow your presence completely outside of your own profiles, through hashtags, videos, and other user-generated content. Once you’ve hit a certain level of popularity, your community can and will produce content. This could be by sharing videos from your events or talks, writing product reviews, posting pictures on Instagram using your product, bragging about meeting a top exec in your company, or any number of things. Measure, monitor, track! Your social media activity can produce an at-times, overwhelming amount of data. The trick is to stick to your goals. Are you looking for increased reach? More newsletter sign-ups? Selling event tickets? Blog views? Monitoring involves measuring the engagement of your posts and the mentions, comments, replies, and messages your profiles get online. It goes a step further, as well. Although it’s technically not “social media”, monitoring mentions of your brand across news sites, lifestyle media, blogs, and other websites is essential. Engaging with the press and your audience through social media will build on everything else that social media involves. Your presence, your brand’s context, and your community. That’s what marketing is all about. And this is what social media marketing involves. Plus, no one wants to be ignored after they’ve said something – good or bad. A tweet is the least you could do. Learn more about how to make marketing on social media work for your business. Find out how to strategise. Browse our Social Media Marketing for Startups series. A lot of things have changed in business thanks to social media. 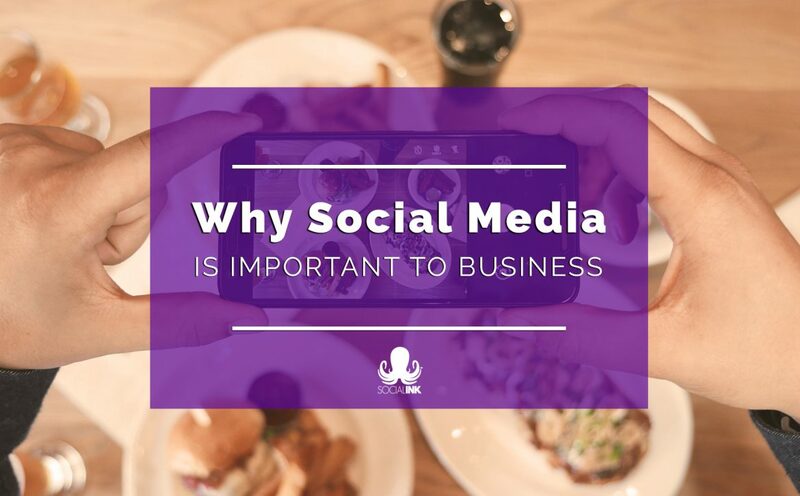 Here’s our breakdown of some of the key elements that make social media so important to businesses.